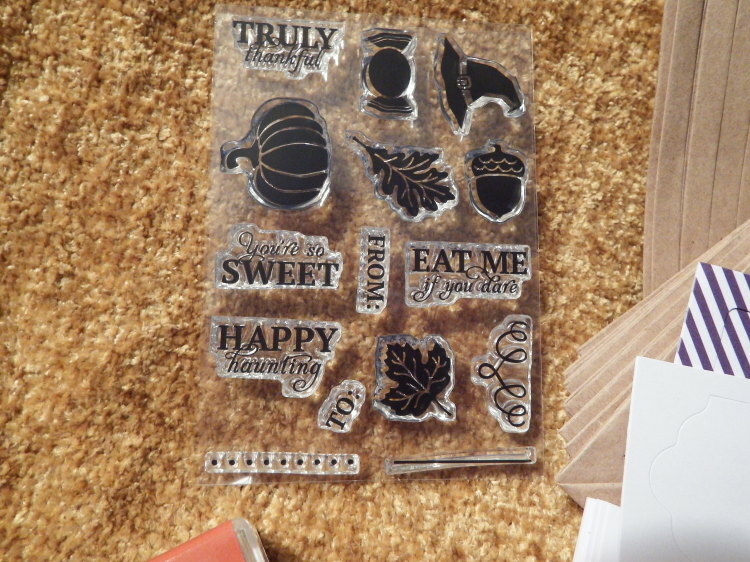 Eileen's Stamping Corner: Paper Pumpkin is going Pink! Together, we will make a difference! If you are already a subscriber your October kit will automatically be included in this donation total, so thank you in advance for keeping your subscription active and helping SU in their donation to BCRF. If you have not subscribed and would like to try it out, this would be a great time to do so. Not only will you get a great kit delivered to your door, but you will also help SU in their support of the Breast Cancer Research Foundation. Subscribe! If you're new to Paper Pumpkin, use the link in the left column of my blog to get started or click here. Note - if you have a relationship with another demonstrator you can ask that demonstrator for their link. Your first kit will arrive in a limited-edition pink box that you'll want to hold onto forever-and Stampin' Up! will donate $2 because you're new! 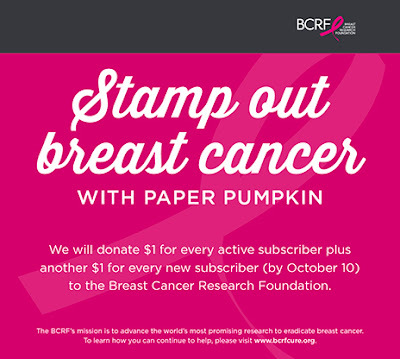 Stay active if you're a subscriber so they can donate $1 for you. Only those who receive the October shipment will be counted for the donation. Spread the word! Help Stampin' Up! get as many new subscribers as possible. Every current subscriber adds $1 and for new subscribers it's doubled, so let's get the word out and raise as much as possible. Mini spoiler alert! The October project inside the pink box is just as awesome as always, but we should probably let you know that it is not a pink project. 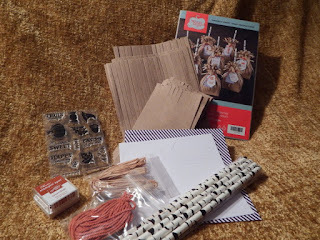 If you want to see what the kits that shipped this month contain here are a few pictures below courtesy of Stampin' Up! demonstrator Debra Cunningham who already received her kit. Mine hopefully comes today. I love this kit. I know I will be ordering more once the past kits are available. 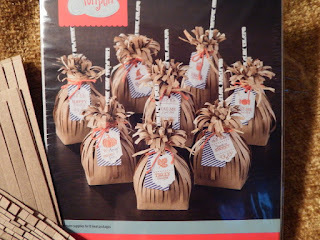 What a great gift idea for classroom gifts, party favors, or table favors. To make this type of project on my own without the help of a kit where all of the products are included would take a long time. With the kit and all the products right there for you it will be so much easier to create. If you have any questions about Paper Pumpkin please send me an e-mail or leave a comment below. Remember, you can try it for one month or get prepaid subscriptions. Here is more information about Paper Pumpkin.